Quick Take: Glee, "Grilled Cheesus"
(S0203) It’s very difficult for a TV show to tackle a religious theme, primarily because showrunners do not usually want to alienate their audience by actually taking a stance. The solution is usually a generalized message about tolerance, acceptance, and faith, and Glee is no exception to this. Still, I’ve got to give them props for going there last night, and for the most part the show did an excellent job in providing multiple viewpoints in the midst of a crisis. The set-up comes from two major plot points. First, Finn (Cory Monteith) discovers a “Grilled Cheesus,” a burn mark on his sandwich that bears a strong resemblance to Jesus. This inspires Finn to start praying, and he takes on deep material such as touching Rachel’s breasts, winning a football game, and becoming the quarterback again, all which happen to come true. 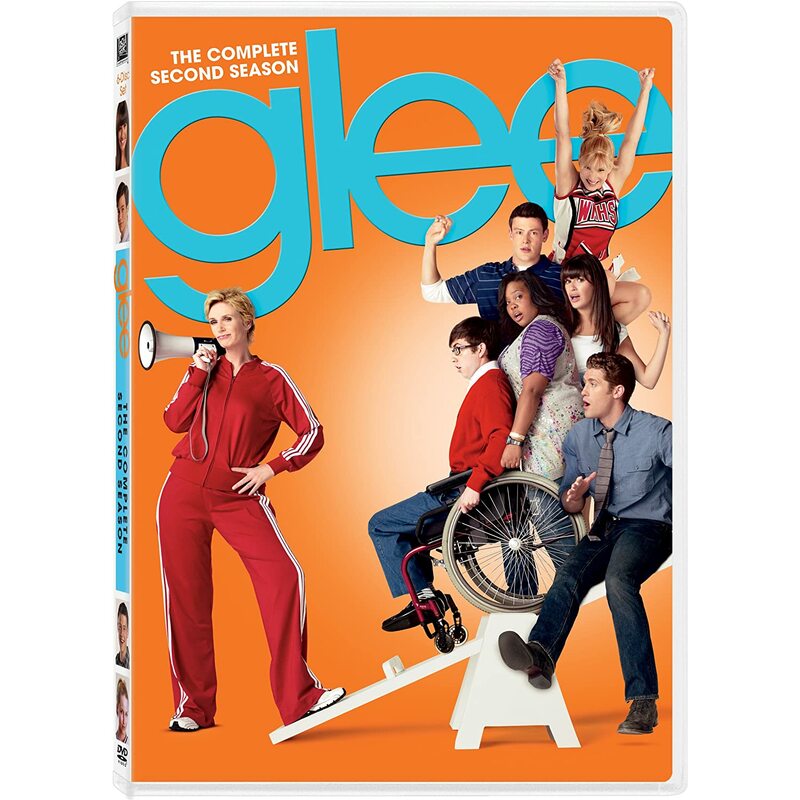 Finn raises the religious topic to the glee club, but is met with a mixture of excitement and resentment from the varying viewpoints in the class. I’ve got to say, the grilled cheesus was a perfect, silly mechanism to bring a light-hearted touch to this discussion. The silliness is short-lived, however, when Kurt (Chris Colfer) finds out that his dad Burt (Mike O’Malley) has had a heart attack and is in a coma. What follows is a heartbreaking episode filled with songs both somber and uplifting, in which the glee members try to use their various beliefs to help Kurt, who is rather resistant due to his lack of believing in God. What Glee excels at more than anything is those touching, goosebump-inducing moments that can arise from well-timed, emotional songs. “Grilled Cheesus” was full of these moments, so much so that the “moments” became just a little bit oversaturated. It’s tough to pack the same emotional wallop when you try to do it half a dozen times in one episode. I’m willing to let my snarky outer shell be cracked once or twice, but when you start piling on the heart-wrenching ballads, it can begin feel a bit trite, and the moments themselves feel underdeveloped. Individually, the songs and their delivery in this episode were spot-on, but as a collective whole, it doesn’t quite reach the peaks it could have if they’d taken a few breaths. Still, this was by far the strongest episode of the season, and musically it might be in contention for the strongest ever. In the end, there’s hope that Kurt’s dad will be all right, and everyone comes together for one last number (Joan Osborne’s “One of Us,” a favorite of mine), which even Sue (Jane Lynch) is willing to support. I found it rather uncomfortable that a bunch of Kurt's classmates would show up at his father's hospital bed without his consent and start praying and singing. I mean, Lea Michele's "Papa Can You Hear Me" was haunting and beautiful, but it sort of turned creepy when she sang it at Burt's bedside. I don't think the two have even had a scene together, so it made it kind of weird. We got some more softness from Sue tonight, who started the episode as a rigid defender of the separation of church and state, but found a little leniency after a touching scene with her sister. "I did a book report on heart attacks if you want to give it to the doctor." - Brittany, in an effort to help Kurt. She was once again the episode's comedic high point. Finn, after realizing his sandwich is probably not a link to God, sings "Losing My Religion," which is totally not actually about religion. I'll let it slide since it's Finn, and the faulty interpretation is pretty in character. "You had me at fabulous hat." -Kurt, to Mercedes after she convinces him to come to church. Major kudos to Chris Colfer, who portrays raw emotion better than anyone on the show, especially in song (his "I Want to Hold Your Hand" is chilling). This episode alone should ensure him another Emmy nomination. That's it for now. What are your thoughts on "Grilled Cheesus"? How did you like the show's handling of such sensitive topics? Sound off in the comments! Another show that deals with religion surprisingly well is Fox' old war horse, The Simpsons. "Grilled Cheesus" kind of sounds like it comes out of The Simpsons' playbook in a way, doesn't it?